Prior to flying to Colombia, I chatted a few times via email with tour leader David Hall which really helped me with my planning. I arrived in Bogota a few days early to acclimatise and hiked up the Montserrate mountain, smugly looking down on the others who had taken the cable car. I felt fit! The next day all the other Skeddadlers arrived, unpacking their bike boxes and talking about all the epic trips they had done and races they had won. I started to worry. These people looked serious! The first day in the saddle soon arrived and we were all excited to get on our way. The sun shone, the arm warmers soon came off and the adventure began. Each day started and ended with a climb, and I have never experienced anything like it. I soon learned that everything is achievable if you ride at the right pace and take your time. There was no benefit in racing to the lunch stops as service in Colombia is very laid back, so the food never arrived until after the last person had appeared anyway! The back-to-back challenging rides soon took their toll on me and by day 5 I was worn out. I made the decision then that the support bus was there for a good reason and there was no shame in taking a boost for a few miles. That opportunity came on the morning of day 6, when there was a particularly steep climb (with 16% grade). Another rider and I hopped into the bus and took the opportunity to enjoy the view and take photos of our team as we drove past them. 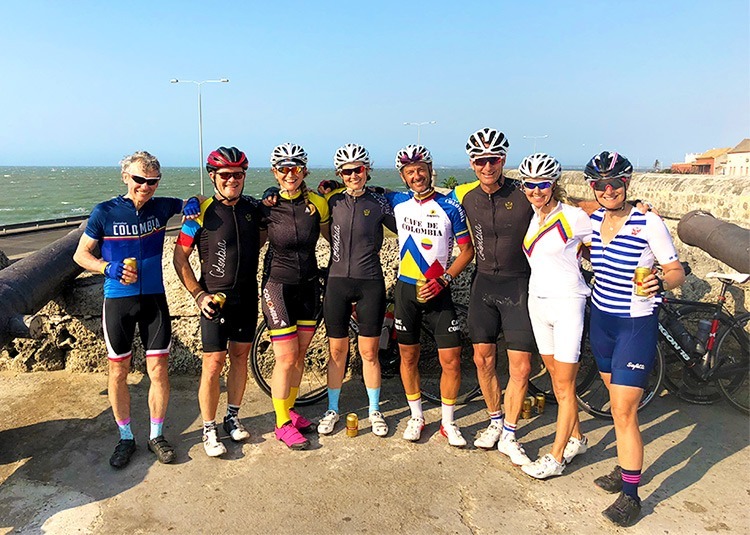 It was the brief respite I needed, and at the next coffee stop I got back on the bike and re-joined the group. It’s amazing how a small boost like that can improve your day considerably, and the drivers Tito and Oscar were so fantastic it would have been a shame not to have spent some time with them! 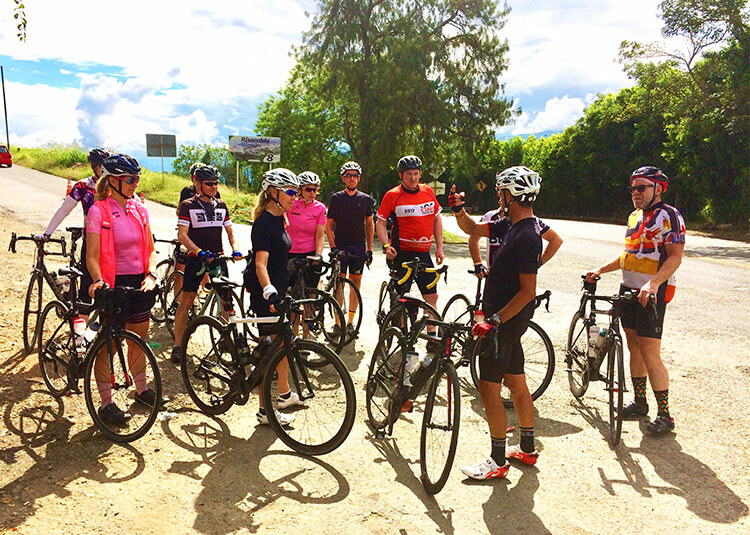 After a rest day in Medellin, we were all keen to get riding again, and once more the ride started with a long climb out of the city. I noticed the locals use a cable car and wondered if perhaps I was missing a trick somehow! The next day had a particularly steep descent, with rough surfaces and tight bends. I am not a confident descender in these conditions, so I decided it was time to take the magic bus again. Somehow it felt less of a cop-out taking a bus downhill than uphill, and again it gave me far more opportunity to view the beautiful countryside scenery than I would have managed had I been focussing on the road. 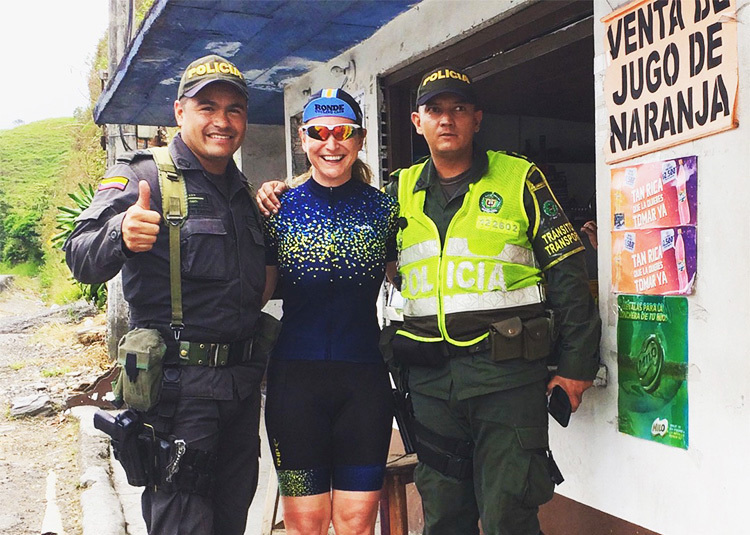 It also gave me the chance to meet some of the local police who were happy to have their photo taken with me, a memorable moment for sure! Feeling inspired? 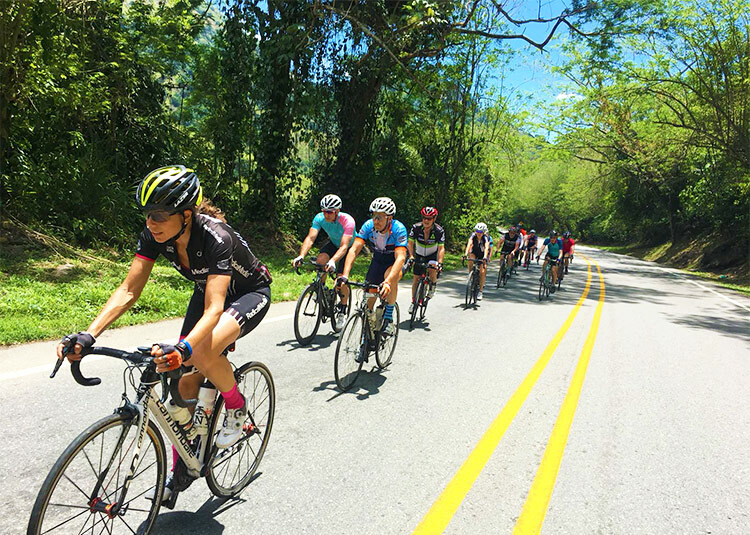 Find out more about our Colombian road cycling holiday, our most ambitious and exciting road trip to date!